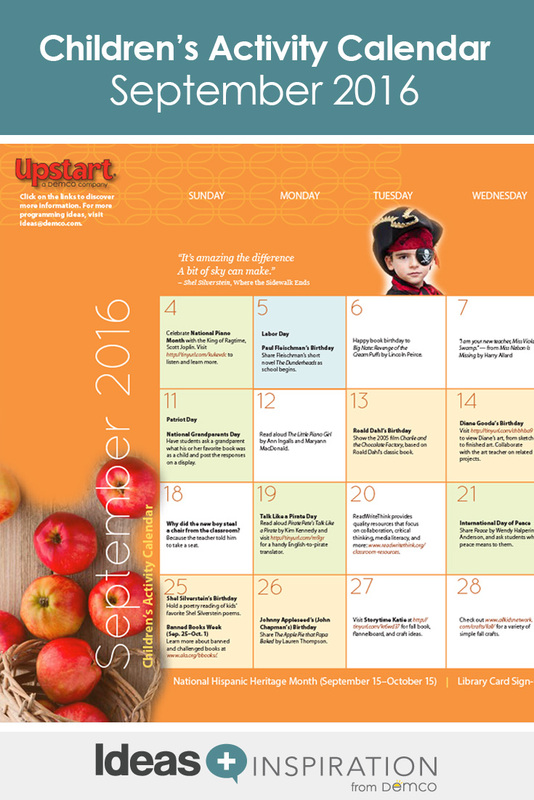 Welcome fall with a bushel of exciting books and activities! 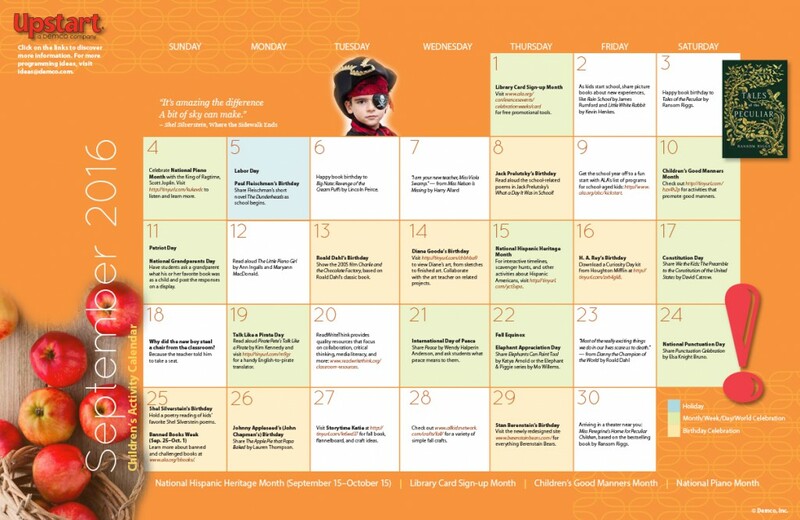 September is filled to the brim with fun occasions like Johnny Appleseed’s birthday and Talk Like a Pirate Day, as well as important month-long celebrations like National Hispanic Heritage Month. It’s also Library Card Sign-up Month, the perfect time to show off all your library has to offer. So grab a cozy sweater and a good book, and get ready for fall!